Whether you are in grade 10 or in Matric, you might be busy considering your options for next year. There is a lot of information out there… but where to start? This week we look at FET colleges and answer some important questions, so that you have the answers you need to make an educated decision about what you would like to do next year! Q: What does FET stand for? A: FET stands for Further Education and Training. FET colleges are institutions registered with the Department of Higher Education that provide training in a specific occupational field. Q: What makes this type of college unique? A: FET colleges offer students the opportunity to study a specific educational programme to develop marketable skills that can be used towards a specific career (so you can study to become an electrician, a chef or a hairdresser for example). Q: What can I study at an FET college? Some private FET colleges will only offer courses in one or two of the industries listed above, although there are many colleges that will have a larger variety of courses and industries for you to choose from. The courses vary in duration from a short course of a few hours to formal diploma courses. Q: What is the entrance requirement? A: FET colleges generally consider students who are older than 16 and have completed Grade 10. It is however very important that you confirm the entrance requirements for your chosen College as they might vary from college to college. Q: Where can I find a FET College and how do I know if it is a good college? A: There are so many colleges for you to consider on the Internet. If you do not have regular access to the internet, you can approach your school guidance counselor for assistance. It is also a good idea to ask the college what their accreditation is – all FET colleges have to be registered with the Department of Higher Education and many of them will also be registered with a Sector Education and Training Authority (SETA). Most industries have a SETA that ensures that all the courses comply with a standard that is legal and authorized. Eduloan has loan options to suit your educational needs. We also have loan options that cater for specialist equipment for your course like textbooks, laptops and even tablets! If you are looking to further your studies at a FET college, you can contact Eduloan and one of our consultants will be able to give you all the information you require to get the financial assistance. 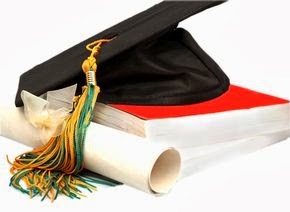 For more information or to speak to one of our Eduloan consultants, visit our website www.eduloan.co.za.